Sombrero Key Sanctuary Preservation Area (SPA) has a spur-and-groove reef formation with stands of elkhorn coral. It is located 3.5 nautical miles seaward of Boot Key and is named for the historic Sombrero Key Light in the northern corner of this triangular SPA. Just five years before General George G. Meade defeated Robert E. Lee at Gettysburg, Meade was building lighthouses in the Florida Keys, completing Sombrero Light in 1858. Nearly 30 years later, the Army's "lighthouse brigade" completed the aids to navigation that ended the lucrative salvaging industry in the Keys. Today, Sombrero Key's treasure is the reef, home to beautiful branching and boulder corals. 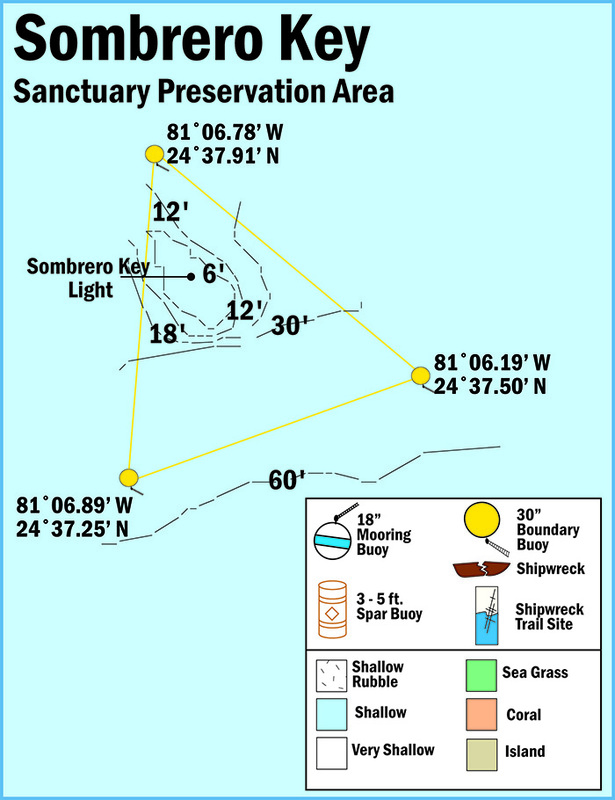 View a map showing the location of mooring buoys within Sombrero Key Sanctuary Preservation Area.